Help Fund A New Ritz Arts Centre For A New Generation! A new Ritz Arts Centre Charitable Incorporated Organisation is being registered with the Charity Commission and you can help us to try to raise money to create a New Ritz for a New Generation. Everyone who pledges at least £15 gets a great reward. And the more you donate the better the reward! The new Arts Centre will seek to celebrate the past, present and future musical and cultural talent of the local area. We hope that it will include a multi function performance and rehearsal space capable of being used by a new generation for live music and other cultural activities and a Pop History Museum that commemorates the pivotal role that the old Ritz Ballroom in York Road played in Birminghams Pop Culture of the 1960's before it was destroyed by a fire in 2013. The ballroom witnessed some of the first performances of Birmingham groups like The Move, The Moody Blues, The Spencer Davis Group, Led Zeppelin's Robert Plant and Black Sabbeth's Ozzy Osborne and Geezer Butler as well as the Birmingham debut of The Beatles, The Rolling Stones, Dusty Springfield and The Kinks! We want the centre to become a major attraction that will add to the area's already vibrant live music scene. The more you donate the better the reward you can claim. get one ticket worth £15 to see ex Kinks Members "The Kast Off Kinks"
gets an A3 Ritz Ballroom Commemorative poster worth £5 designed by graphic artist Gareth Austin. By popular demand the award winning West Midlands group Out Of The Shadows return to Fletchers on Sunday 12 April after their last two performances had the audience dancing in every conceivable space! Expect to hear some of the greatest pop songs and instrumentals from the late1950's onwards including Eddie Cochran's “Summertime Blues”, Cliff Richard's “I Could Easily Fall In Love With You” and Dire Straits' ”Walk Of Life” along with a string of top instrumental hits including The Shadows' “Apache” , “Wonderful Land” and “Cavatina – Theme From The Deer Hunter”. Hailing from Stourbridge, they have regularly been voted Top Club Act by local club entertainment officers and audience members. 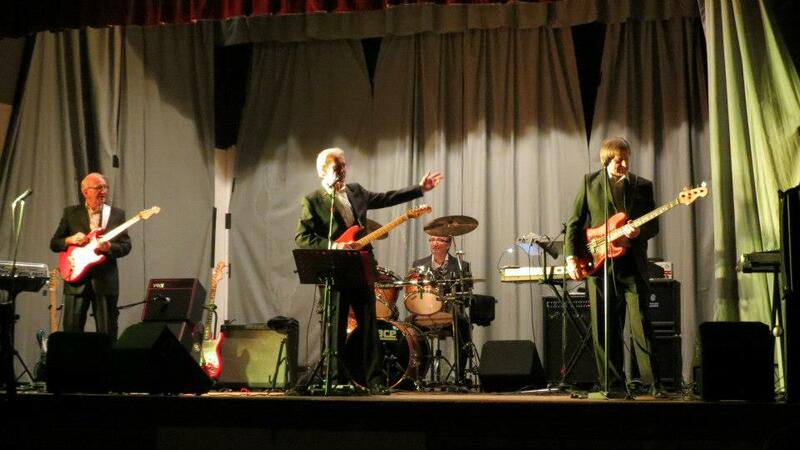 If you have not seen them before, don't miss out again on another great Lazy Sunday Afternoon's entertainment. Three hours of top quality pop music guaranteed! Beatlemania will return to King's Heath on Sunday 15 Febuary as we celebrate the 52nd anniversary of the first ever Beatles gig in Birmingham at the old Ritz Ballroom on King’s Heath’s York Road which was sadly destroyed by fire in 2013. From 3 p.m. to 6 p.m top local musicians will play their favourite Beatles songs in a sold out acoustic session at Fletchers Bar on York Road directly opposite the former ballroom. 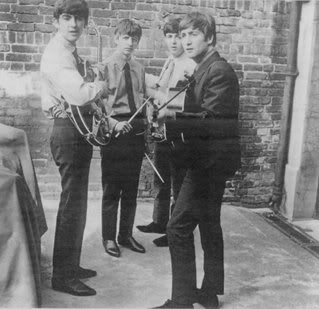 The Beatles appeared at the Ritz Ballroom – one of 4 venues run in the 1950′s and 60′s by the legendary Irish couple Ma and Pa Regan – on 15 February 1963 shortly after releasing their second single “Please Please Me”. Originally scheduled to appear on 11 January, they had been prevented by blizzard like conditions from making the 11 mile journey to King’s Heath from one of the Regans other venues – the Plaza in Old Hill. “Tell them to turn that racket down” is what Pa Regan is rumoured to have shouted while they were practising! But he was a very happy man really. He had persuaded their manager Brian Epstein to agree to them performing for their previously agreed fee even though they were now No. 1 in the charts! They performed the rescheduled gig at The Ritz during a break from The Helen Shapiro Tour on which they started off as only 4th out of the 11 acts on the bill! No more advance tickets are available for the afternoon Acoustic Session. A few tickets and returns may be available for £4 on the door. Any remaining tickets will cost £7 on the door.